If you are a veteran ISO or Agent in the merchant services industry and tired of losing to First Data, then why not just join the First Data team? You know the saying, “if you can’t beat ‘em, join ‘em”? Well when it comes to bankcard sales, it couldn’t be more true. If you are interested in the First Data ISO or Agent program, it can be difficult to get connected to the right place to even inquire; it’s a huge corporation and there isn’t even any contact information on the partnership page. We understand and that’s why we wrote this post – to help you get the First Data deal you are looking for. Be able to set up accounts and bridge to all front end platforms North(Cardnet), South(Nabanco), Nashville(Envoy), Omaha and BuyPass(Concord/Atlanta). Are you an ISO or an Agent? If you are not ready to make a big minimum application volume commitment and invest $30K to “register” then you would be considered an “Independent Sales Agent”. For ISOs, there are options for both Retail and Wholesale programs depending on which party takes on the risk and underwriting responsibilities. It’s good to be on the winning team! First Data ISOs and Agents can benefit from the global economies of scale associated with being the largest merchant acquirer in the world supporting 6 million merchant locations in 34 countries. 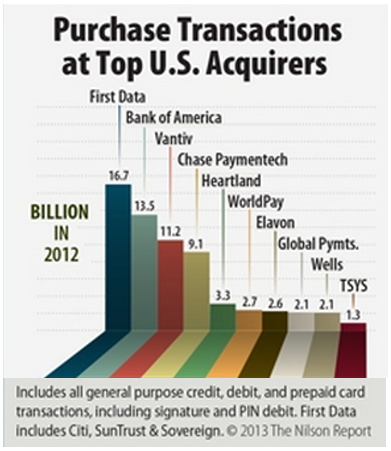 First Data is like the Walmart of the credit card processing industry. Only available to experienced bankcard agents.